After due consideration of the property's aspect and size, we our designers recommended the client install high quality frameless glass fencing in order to keep a clean line of sight from the rear of the house across the restricted yard to the pool situated in the corner of the block. The addition of stainless steel deck spigots further enhanced the premium luxury look adding further value to this stylish house in one of Sydney's premier seaside locations. 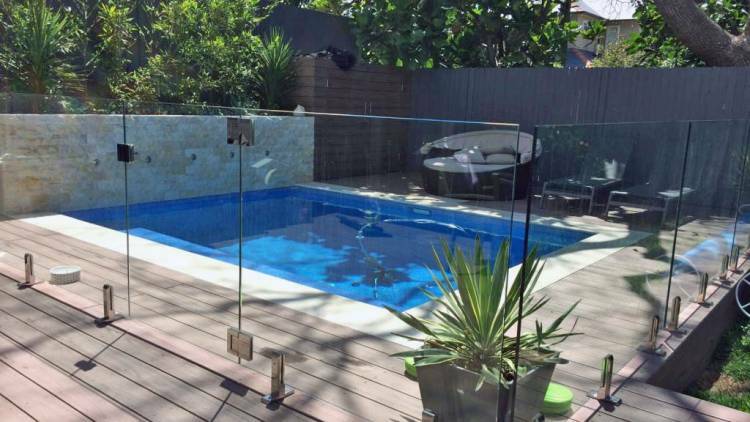 With the project completed and the feeling of space and depth retained, we are proud of the result and this client can look forward to years of low maintenance as they enjoy swimming in their delightful new pool with glass fencing by Gateway Fencing.